« We’re taking a break in August! Now accepting proposals for 1708′s 2013-2014 exhibition season! 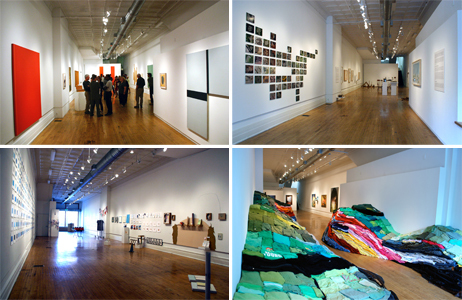 1708 Gallery, a 34-year-old non-profit space for new art in Richmond, Virginia, seeks exhibition proposals for our 2013-2014 season. National and international artists working in all mediums (including, but not limited to: video and film, new media, installation, painting, social practices, sculpture and performance), as well as curators are encouraged to submit exhibition proposals. 1708 Gallery’s mission is to present exceptional new art. 1708 Gallery is committed to providing opportunities for artistic innovation for emerging and established artists and to expanding the understanding and appreciation of new art for the public. 1708 Gallery’s annual exhibition season runs from September through August and consists of up to 8 exhibitions featuring national and international emerging and established artists. Each exhibition is approximately 6 weeks long. Submissions are reviewed by 1708 Gallery’s Exhibition Committee, which includes professional artists from its Board of Directors. Selected artists or curators will receive an exhibition (approximately 6 weeks long) at 1708 Gallery and a $300 honorarium. Pending funding, this amount may increase. The deadline for submissions is September 15, 2012. Contact Gallery Coordinator, Matt Shelton at mshelton@1708gallery.org or 804.643.1708 if you have any questions. This entry was posted on Monday, August 6th, 2012 at 12:23 pm	and is filed under Exhibitions, General, News. You can follow any responses to this entry through the RSS 2.0 feed. You can leave a response, or trackback from your own site. very interested, i would love to participate!! !